Truro is the retail centre of Cornwall and boasts an enviable range of independent shops and multiples. In a compact city centre, this strong and diverse mix is unique. 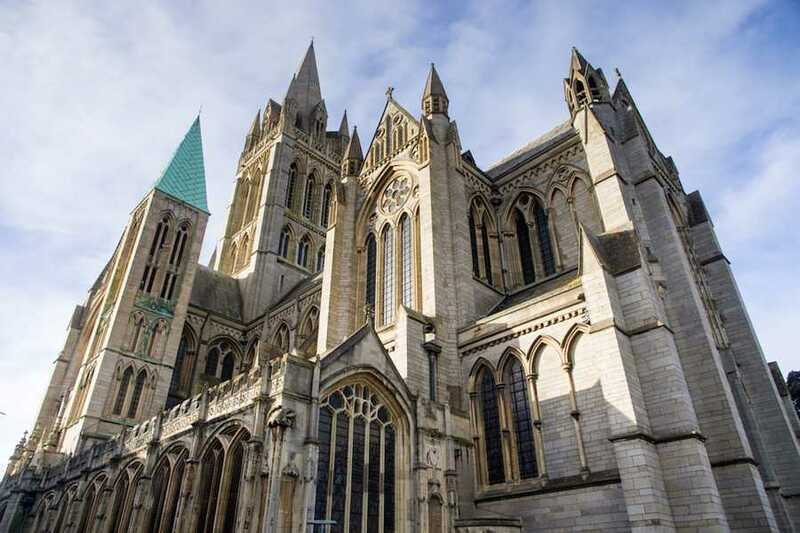 Its intriguing and eclectic offer of art galleries, bars, restaurants, nightclubs, a cinema, the Hall for Cornwall, Truro Cathedral and the Royal Cornwall Museum make it a year round destination for those who live, work and visit Truro. A city steeped in history and awe-inspiring architecture, there is plenty to see and do. Whether you are keen to shop, dine with friends, visit the gardens, an event or simply meander through the Georgian streets we are sure you will enjoy your visit to Truro. We offer a direct coach service straight to Lemon Quay Truro, pick up points starting in St Ives, through to Hayle and Camborne. Depart Lemon Quay, Truro - 4hrs after arrival.